The drummer of an iconic Filipino rock band fell to his death Wednesday in an apparent suicide—video of which went viral on Facebook before it was taken down. Velasco, 41, apparently leaped off the high floor of the condominium he lived in along Vito Cruz St. in Manila―in the middle of a Facebook video group chat with friends who were stunned by the outcome. Citing an incident report from the Malate Police Station, police said the remains of Velasco were discovered by the guard on duty around 9:45 a.m. The guard sought help from the city police, who found the drummer dressed in a white polo shirt and jeans with multiple wounds on his legs and body. Velasco’s brother, La Salle student Gabriel Angelo, also told police in the same report that the musician was suffering from depression. 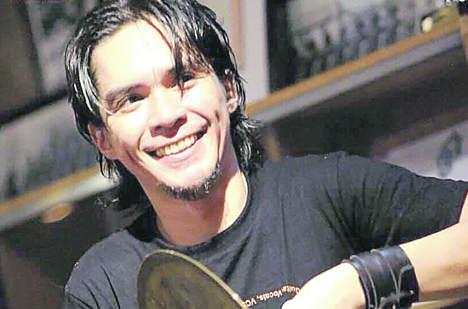 His death came more than a week after Razorback headlined a benefit gig for Filipino music legend Wally Gonzalez, a founding member of the influential rock act Juan Dela Cruz Band. Tributes were quick to arrive from fellow musicians and Velasco’s fans on social media following the news. Razorback’s last album was released in 2015, titled “Acoustic ng Ina Mo,” a compilation of acoustic versions of their hits. Last year, their 28th as a group, the band released a new single, “Stargazer,” featuring Basti Atardi, the vocalist of fellow rock band Wolfgang.